I teach from home (Barons Court W6), but I am also happy to travel. 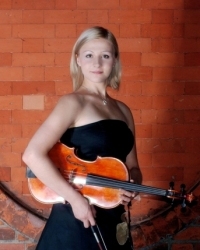 I have over eight years experience teaching viola and violin students of all levels and ages. I was awarded the LRAM Teaching Diploma during my Bachelor studies at Royal Academy of Music, before completing my Masters of Music in viola under the tuition of Lawrence Power. Following this, I was appointed Chamber Music Junior Fellow at the Royal College of Music, where my responsibilities included organising musical events for students and coaching chamber groups. I was also the viola tutor of the National Youth Orchestra of Iraq for four consecutive years, where I lead sectionals, coached chamber groups, evaluated auditions, and gave private lessons.